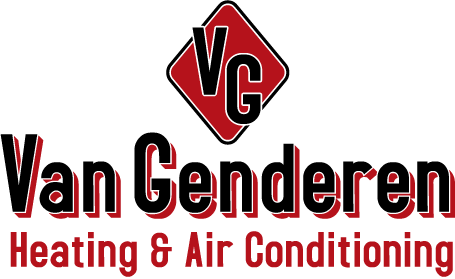 To improve indoor air quality and remove unwanted air particles and allergens from the air, Van Genderen installs whole-home air filtration systems and air purification systems. Air Filtration systems remove up to an unprecedented 99.98% of unwanted particles and allergens from filtered air – The systems are more effective than even the best HEPA room appliance. Product information and brochures can be found on the left side of this page. Air Purification Systems such as REME Halo is a whole house air purification system that uses oxidizers and has been proven to kill unhealthy microbes (mold, bacteria and viruses) and eliminate unwanted odors. We invite you to call us at 303.744.2766 to schedule an air conditioning installation, air conditioning maintenance or service estimate request, or click here to contact us directly. The REME HALO is designed to eliminate sick home/building syndrome risks by reducing odors, air pollutants, VOCs (chemical odors), smoke, mold, bacteria and viruses. The REME HALO units are easily mounted into air conditioning and heating systems air ducts where most sick building problems start. 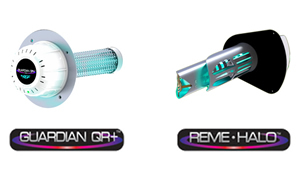 When the HVAC system is in operation, the REME HALO unit creates an Advanced Oxidation Plasma consisting of Ionized Hydro-peroxides, Super oxide ions and Hydroxide ions. All are friendly oxidizers. By friendly oxidizers, we mean oxidizers that revert back to oxygen and hydrogen after the oxidation of the pollutant. 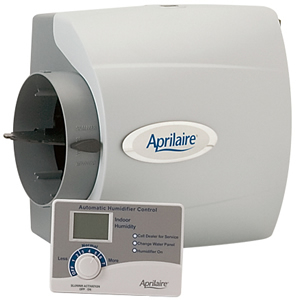 The Aprilaire Model Humidifier is a whole-home solution that helps you achieve total comfort through humidity control. When you use the Aprilaire Humidifier, you eliminate the unhealthy and damaging effects of overly dry air on your family and home. 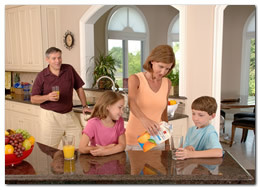 The Humidifier uses the furnace blower to move air through a Water Panel®. Upgrade home comfort by improving the quality of the air you breathe. The U.S. EPA has estimated that indoor air can be 2-5 times more polluted than the outdoor environment, ranking indoor pollutants as a top five environmental health concern. 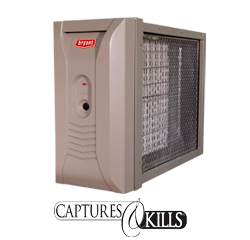 Bryant® whole-home air purifiers treat 100% of the air flowing through your system before it circulates, to remove bacteria, viruses, pollen and mold from the air. We have been serving our community for over 70 years!